"Join the Nation ... 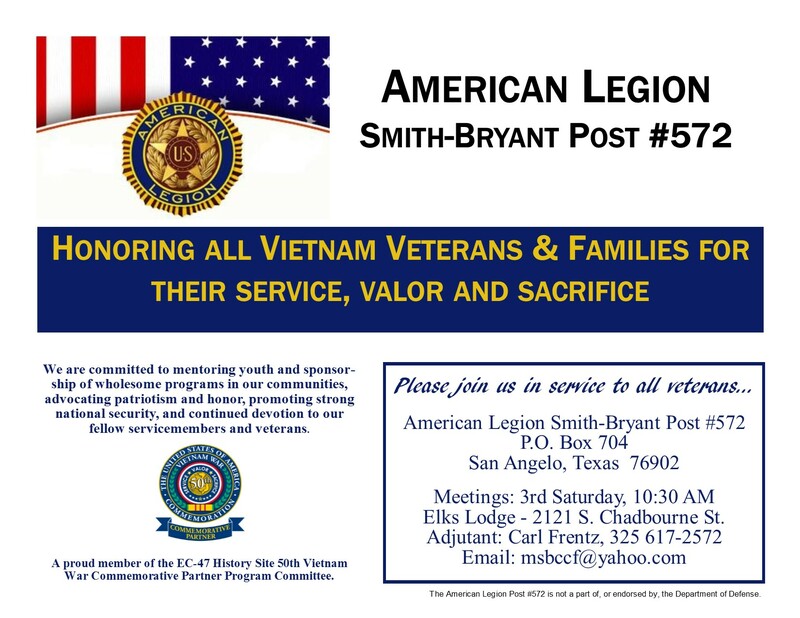 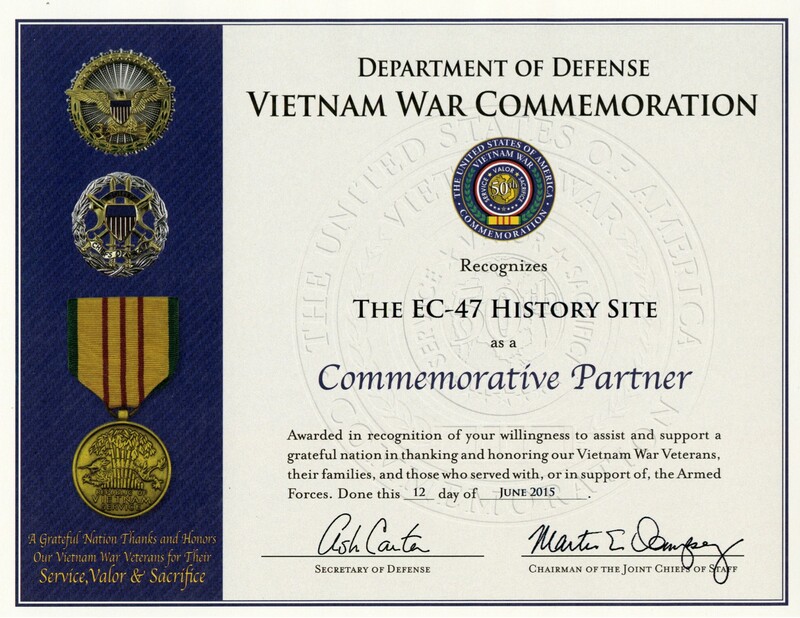 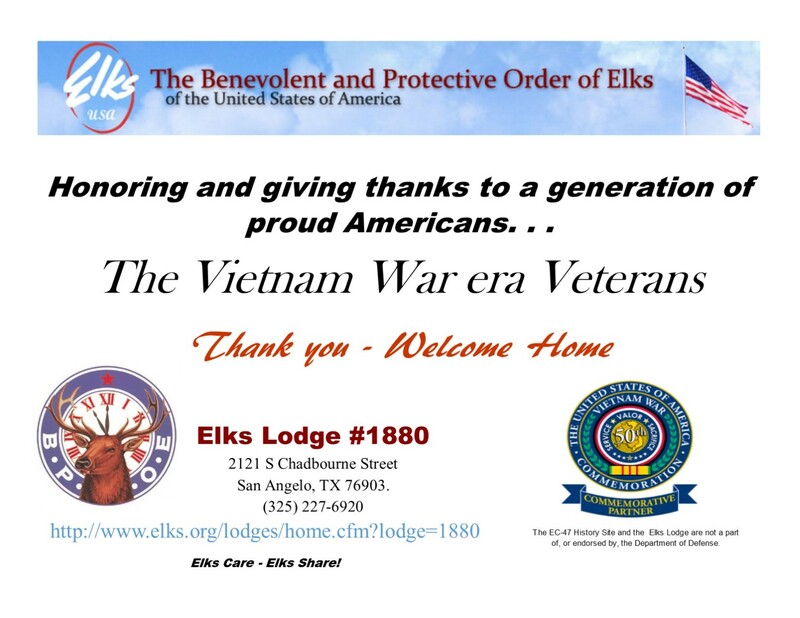 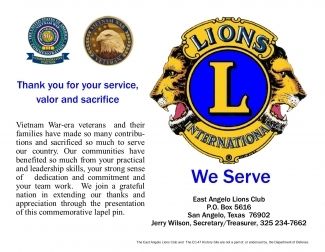 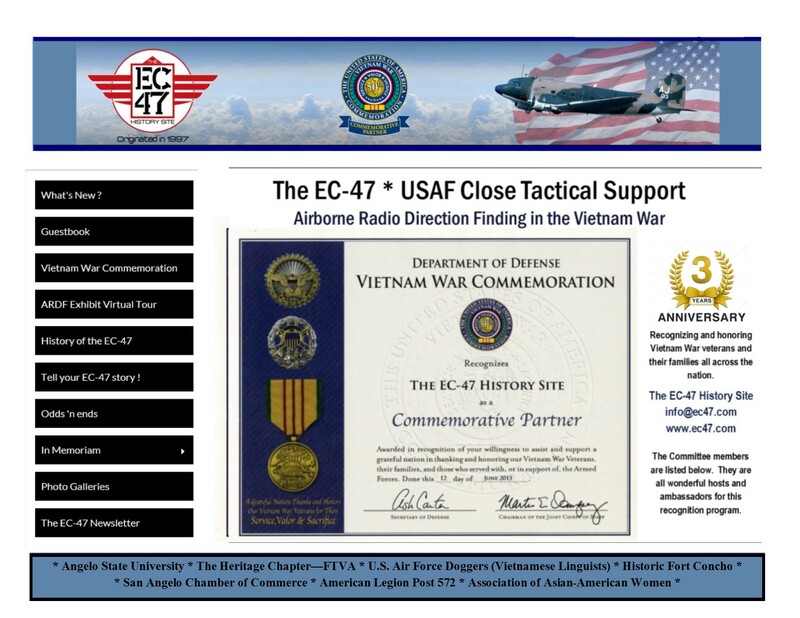 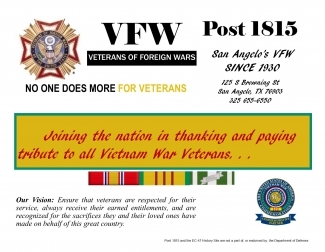 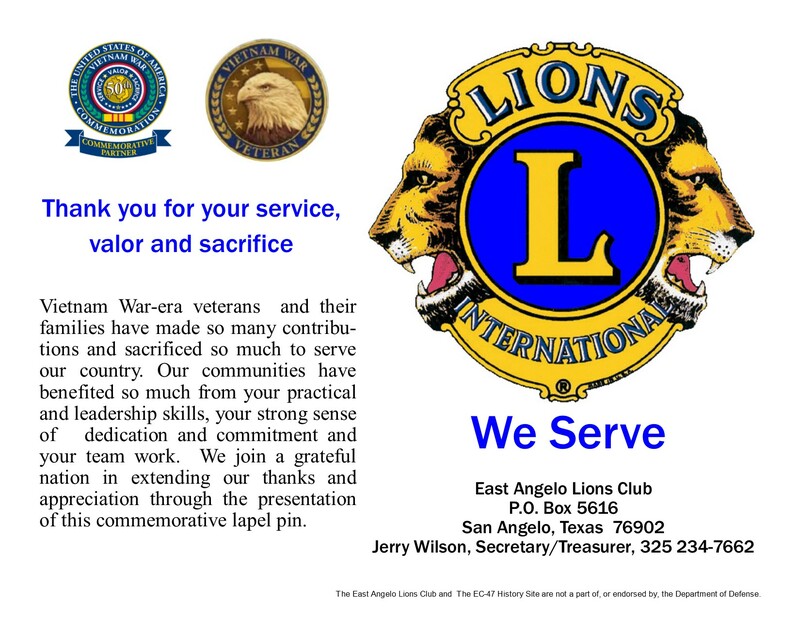 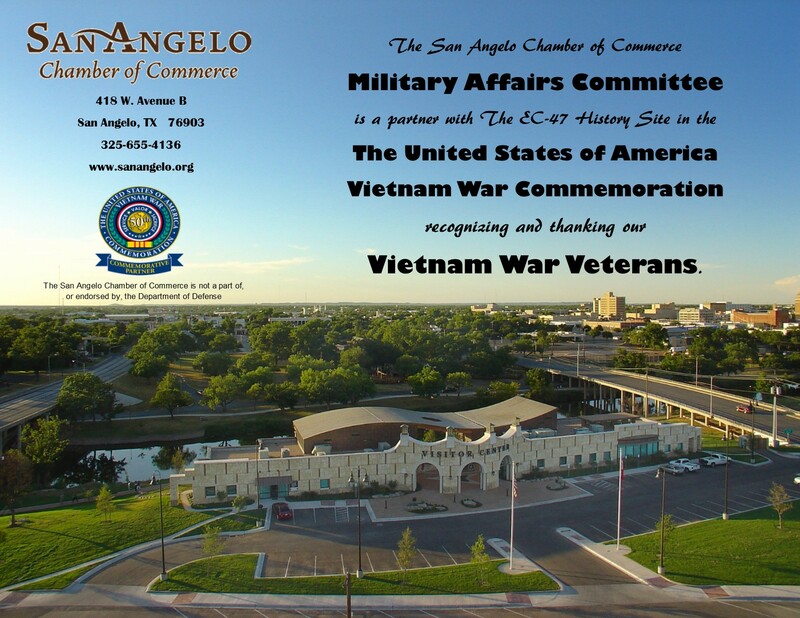 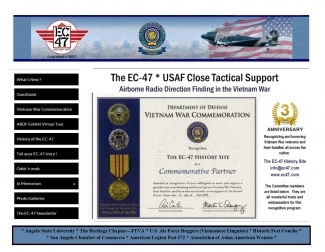 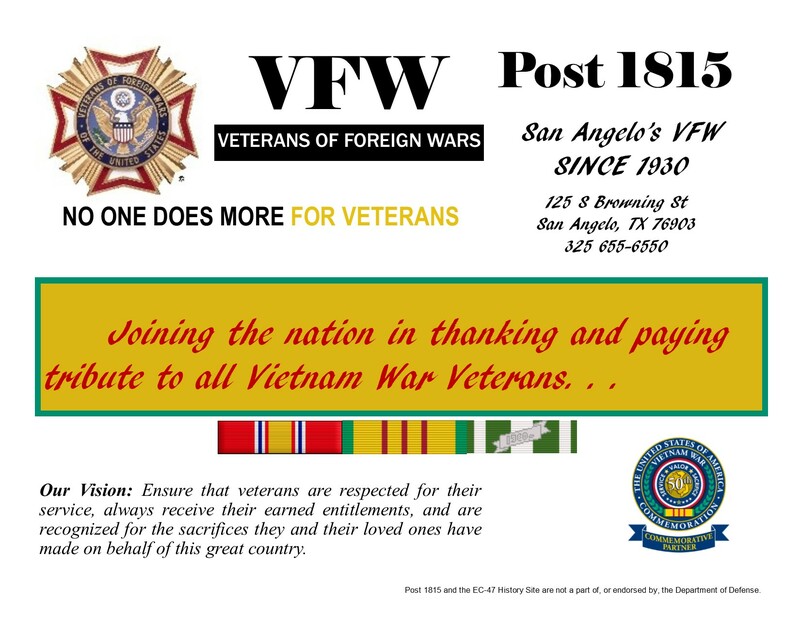 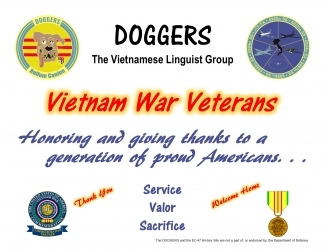 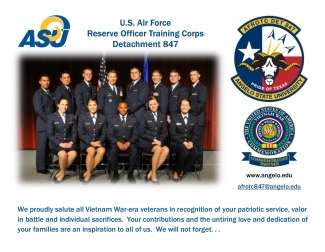 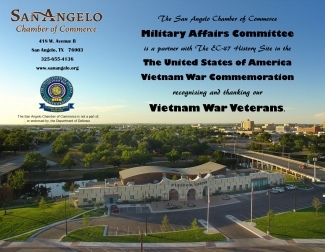 Thank a Vietnam Veteran"
The military support organizations registered with the EC-47 History Site 50th Vietnam War Commemorative Partner Program (CPP) committee recently completed three years service to Vietnam War veterans and their families. 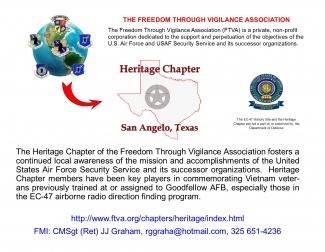 Collectively, we organized and managed 32 Commemoration ceremonies in 8 states. 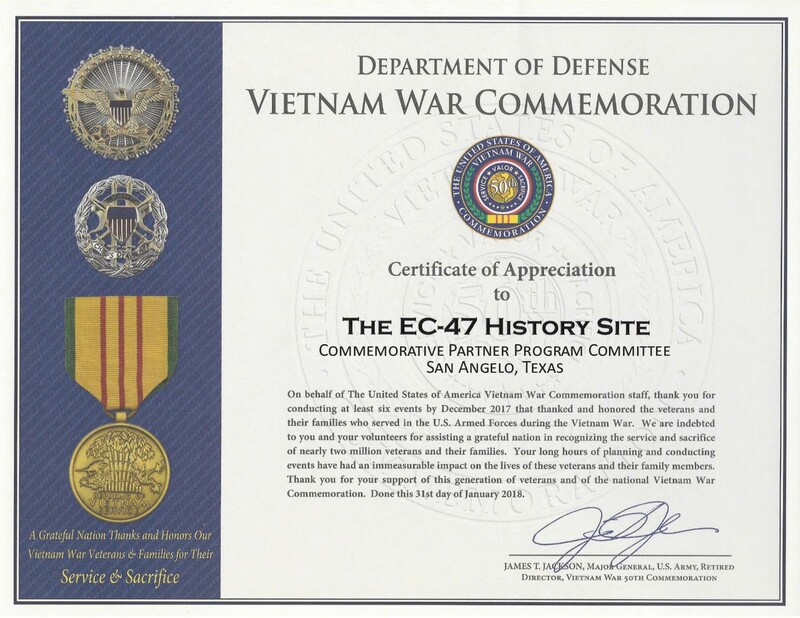 Community leaders representing government, military, business and education joined us in presenting more than 750 veteran commemorative lapel pins. 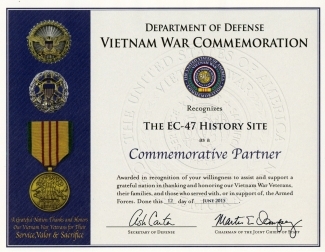 Through the Commemoration Certificate of Honor program we also recognized the unique service and sacrifice of 30 Gold Star family members and 25 Blue Star surviving spouses of Vietnam veterans. 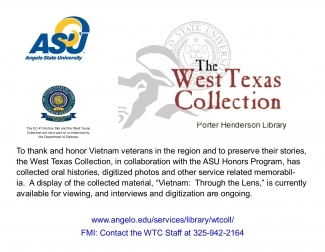 There are hundreds (possibly thousands) of photos of the 3,540 attendees that included 1,000 Vietnam veterans and nearly 800 veterans family members. 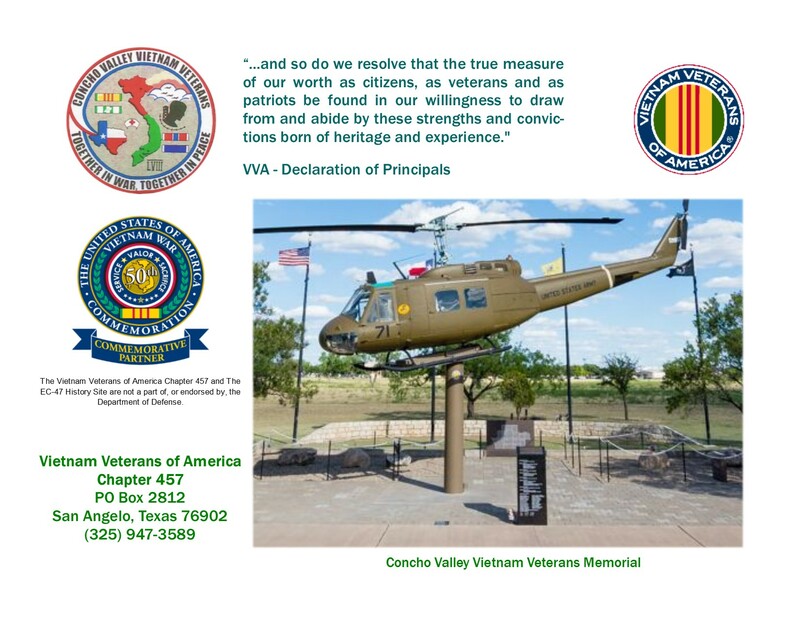 Our CPP committee stands proudly with more than 11,000 Partners nation-wide ... and pledges to continue our involvement through 2025. 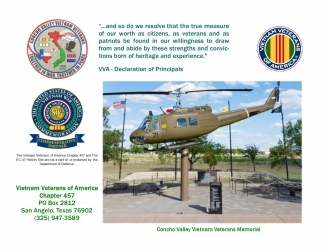 We invite you to click on the following links to learn more about the objectives of this program and the important roles of the commemorative partners. 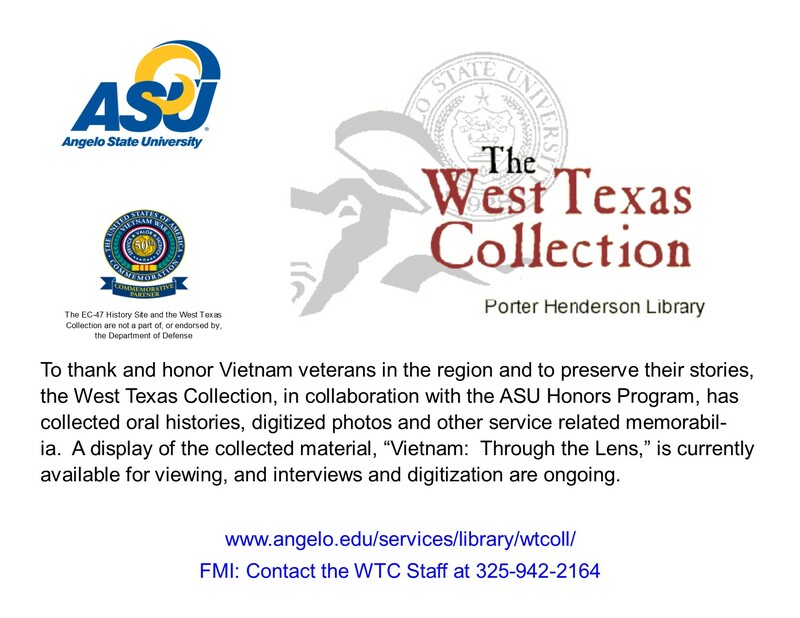 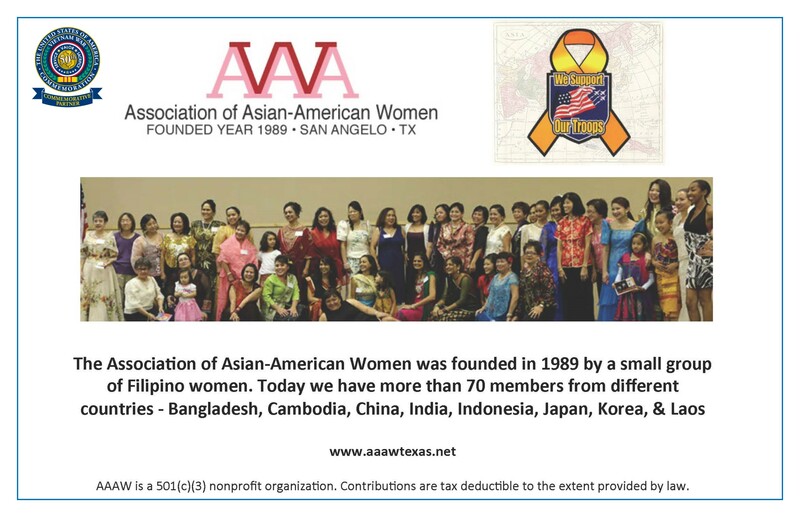 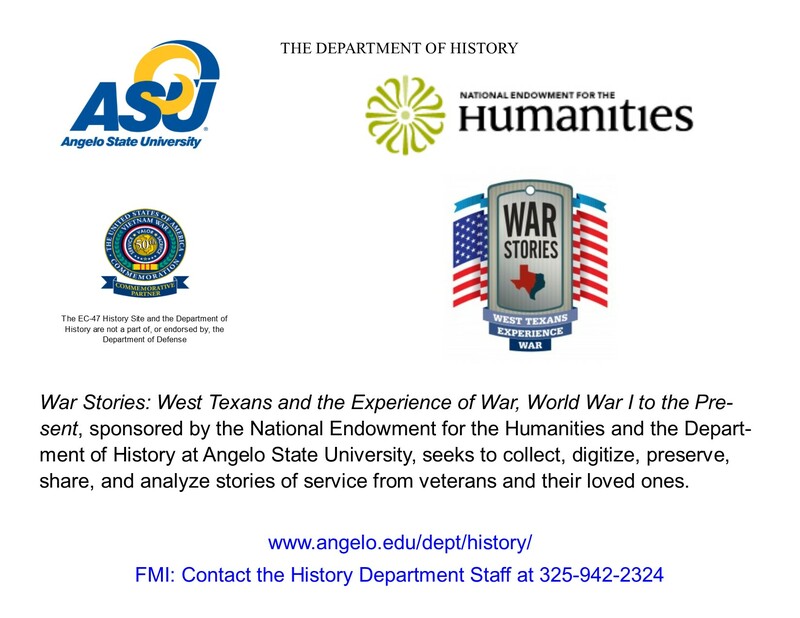 Also, click on the partners posters that are displayed when sponsoring or participating in a commemorative event. 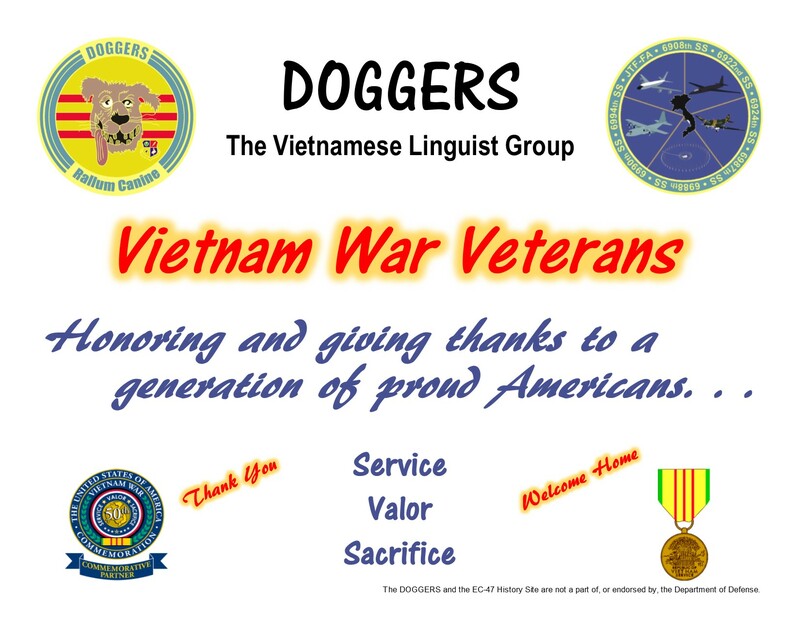 Please thank them when you have the opportunity.